Whitebait fisher waiting for whitebait in Okari Lagoon. Spotter boards used to increase visibility of the juvenile whitebait fish. 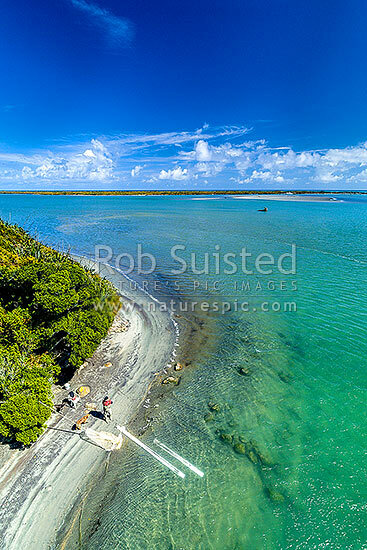 Aerial view across sand bar to Tasman Sea, Charleston, Buller District, West Coast Region, New Zealand (NZ), stock photo.